Throughout July 2017, Kylie Lewis travelled to Tasmania, South Australia and Western Australia with the Australia Post Accelerator team as part of the Regional PitchFest program. In each state, Kylie was a panel member for the Tall Poppies Women in Business breakfast event, sitting alongside some of Australia’s best regional business women. “Technology today means anyone, anywhere with a great idea can take their creativity and passion and sell it to the world. With more than half of Australia’s new businesses run by women and many online retailers cracking global markets with female leaders at the helm, now is the perfect time to celebrate women in business everywhere at our Tall Poppies breakfast events around Australia. Brought to you by Australia Post, this free networking event is for anyone interested in hearing more about female business success stories in rural and regional Australia in a friendly and supportive environment. 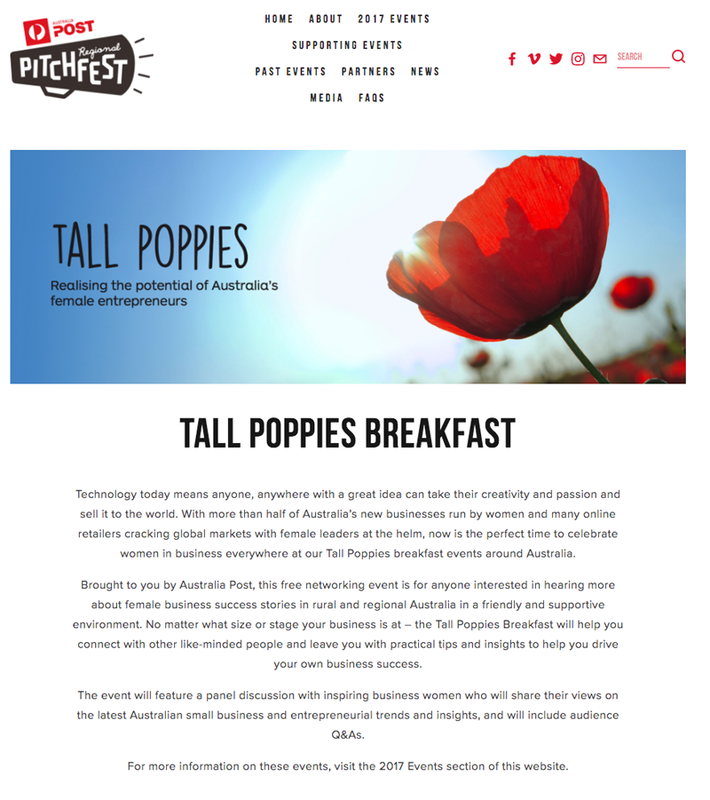 No matter what size or stage your business is at – the Tall Poppies Breakfast will help you connect with other like-minded people and leave you with practical tips and insights to help you drive your own business success.